One of the most popular Sativa strains is Laughing Buddha. As laughing is the best medicine for all the diseases, you need to try this cannabis Sativa as it will tickle your funny bone and evoke laughter. Laughing Buddha has a citrus taste as well as energizing effect. This Sativa strain is also considered to be ideal for growers. It grows fast; therefore, you don’t have to wait for a long period to harvest it. Furthermore, it grows tall as well. Buddha is a good choice for those who suffer from stress, who are prone to panic and those, who have low THC level. 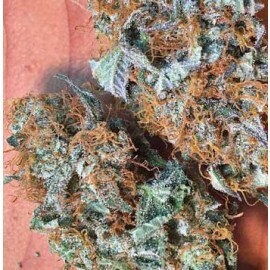 Ghost Train Haze is another popular Sativa strain. 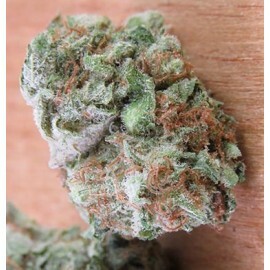 Favorite among Sativa weed strains smokers, it contains approximately 28% of THC. Hence, it is ranked among the strongest strains, which every experienced smoker must try. It has an uplifting effect due to the high THC level. For energetic and uplifting effects, you must try the Strawberry Diesel. This Sativa strain is popular due to its taste and fresh strawberries smell. Moreover, Strawberry Diesel is able to relax your muscles as well as create a clear-headed sensation. If you want to get rid of insomnia, Strawberry Diesel will be one of the best solutions. It is great for both daytime and nighttime use. Strawberry Cough is extremely potent and, as the name suggests, it can make the consumer cough. Thus, it is recommended for experienced users only. It gives a feeling of euphoric high, which makes it good for managing stress and getting rid of anxiety issues. Moreover, it helps to balance your nervous system in times of stress. Instead, it provides you with an aura of euphoria, leaving a pleasant smile on your face. With the taste and fragrance of strawberry, Strawberry Cough is one of the most popular cannabis Sativa flowers, which boasts from 24% to 26% THC levels. If you are looking for Sativa cannabis strains with some variety, opt for Cinex. With the THC levels ranging from 15% to 26%, depending on the expert care, it produces a focused high. Moreover, Cinex has a great property of building a positive mindset, creative thinking, positive mood, and energy. Cinex is popular for the relaxation it gives to the body of the user. The ideal time to have this strain is right after having breakfast. Another strain that is often found in the list of top Sativa weed strains is Lambs Bread which is also known as “Lamb's Breath”. It is well-known for the energy it gives to users. Furthermore, it also creates an introspection mood of the user. It is a green, stick herb that originates from Jamaica and can help you to deal with stress effectively, providing you with a mass amount of energy and positive introspection. With 22% of THC, Cinderella 99 may not be considered as the most potent strain but it manages to make its ways to the list of strongest Sativa strains due to the instant cerebral high it gives. Furthermore, it is also energizing. The effects of Cindy are always described as dreamy and euphoric. Therefore, it is recommended to be tried by every smoker who is looking for the strong effects of Sativa stains. There you go! These are some of the Sativa stains that you need to try if you are looking for stronger and lasting effects.